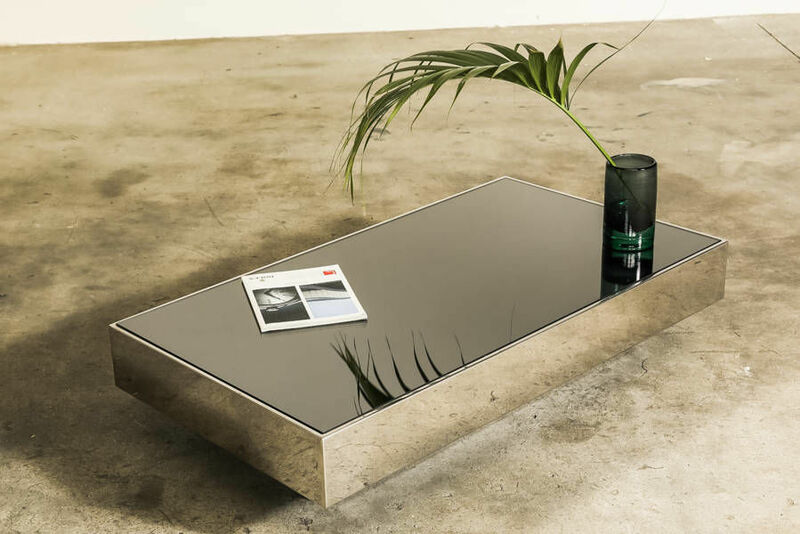 Italian Cocktail table by Willy Rizzo, 1970, Italy | Castorina & Co. 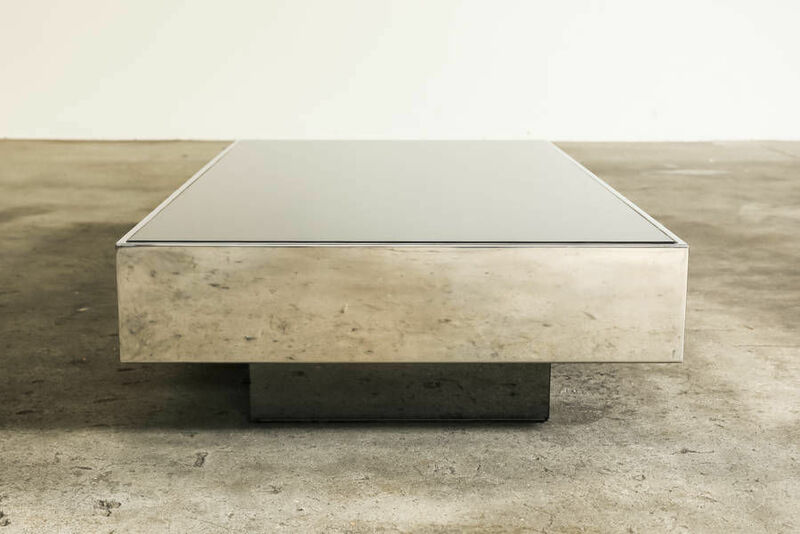 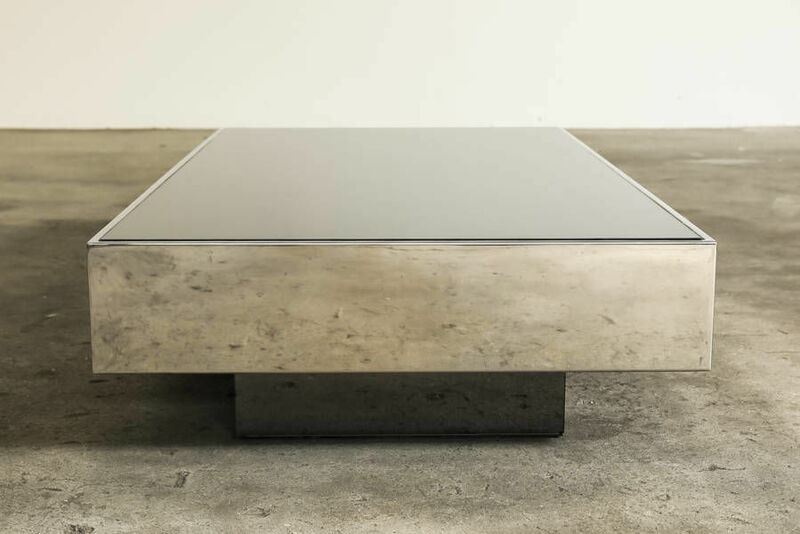 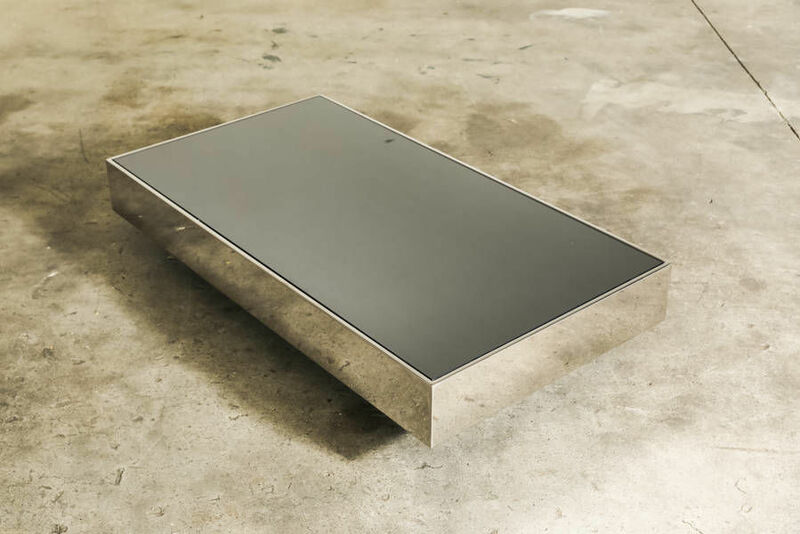 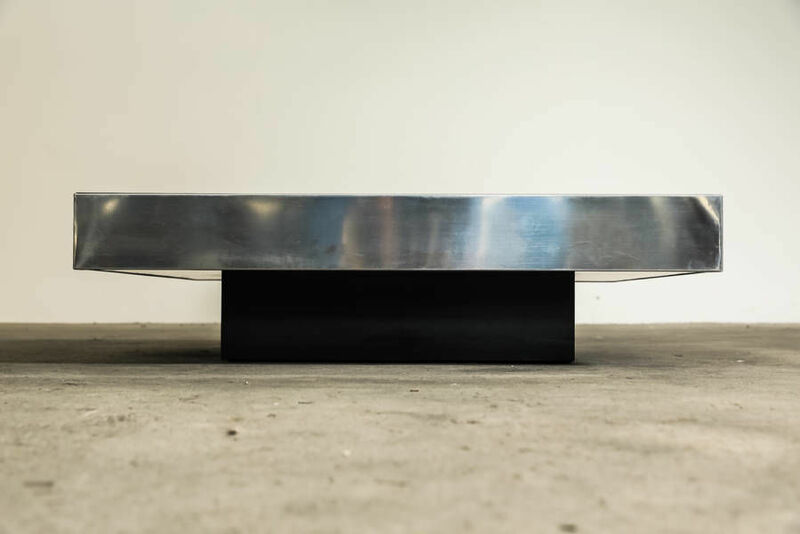 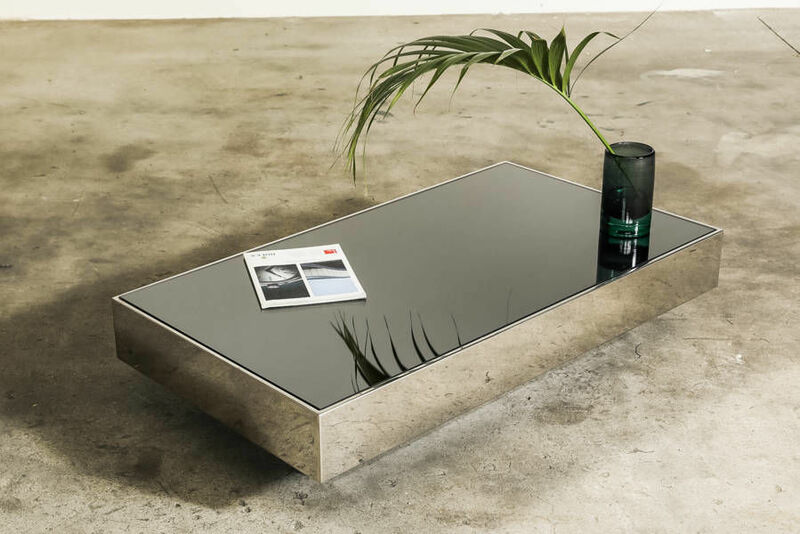 Floating coffee table designed by Willy Rizzo and made by Cidue Italy during the 70's. 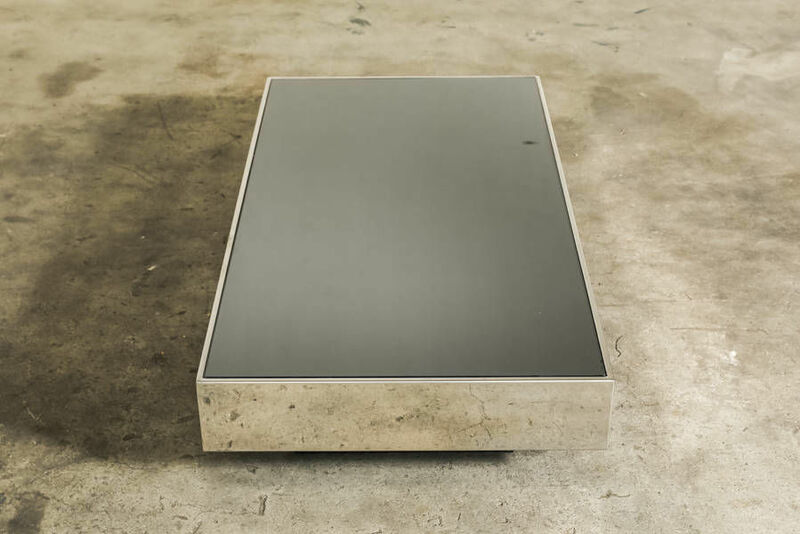 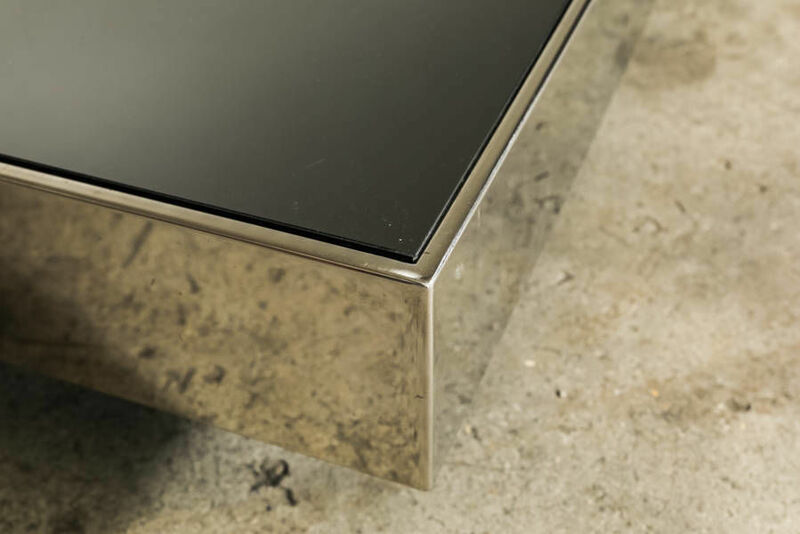 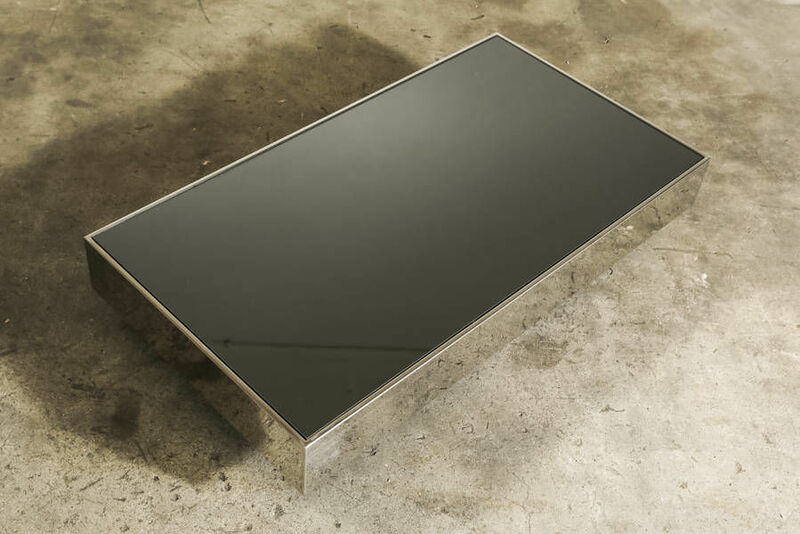 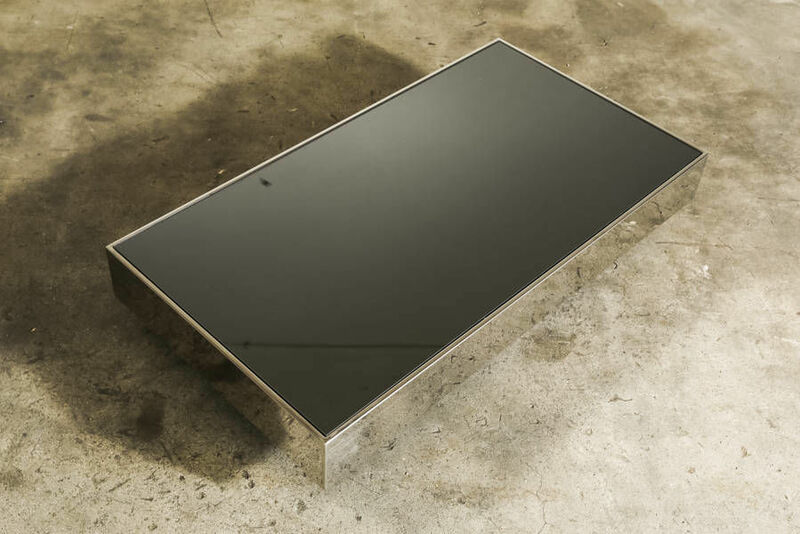 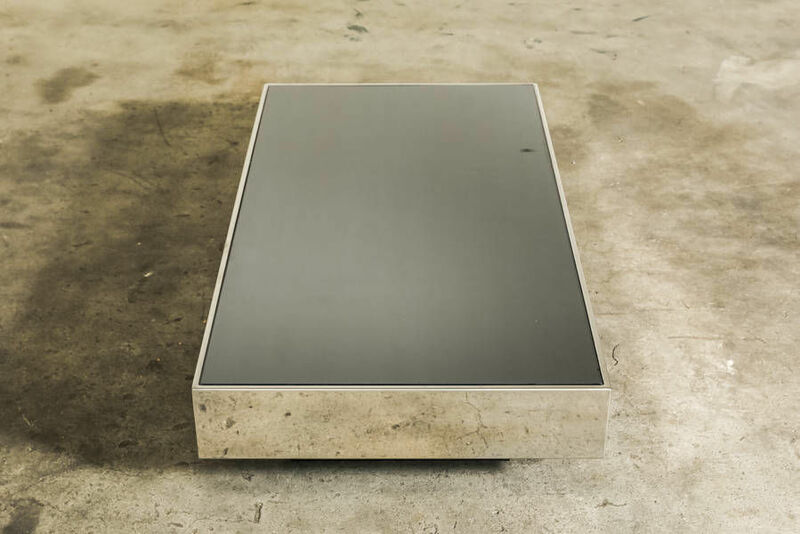 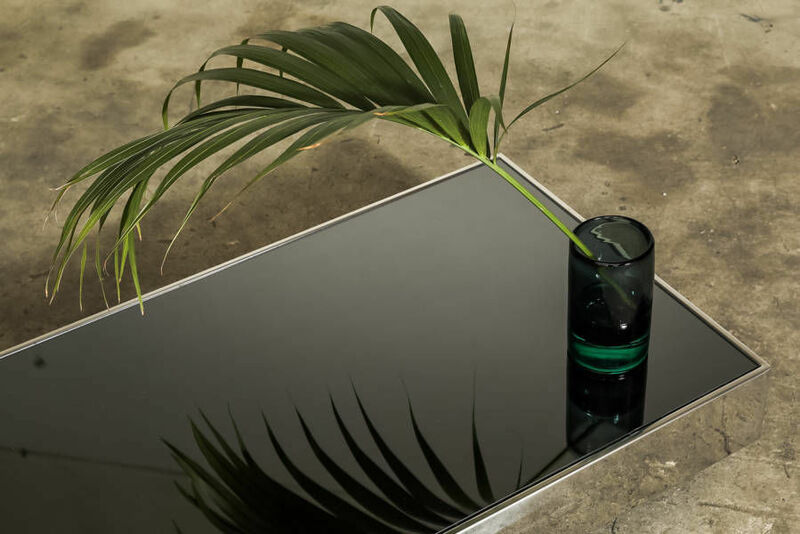 Chrome outer edge and mirrored glass top. 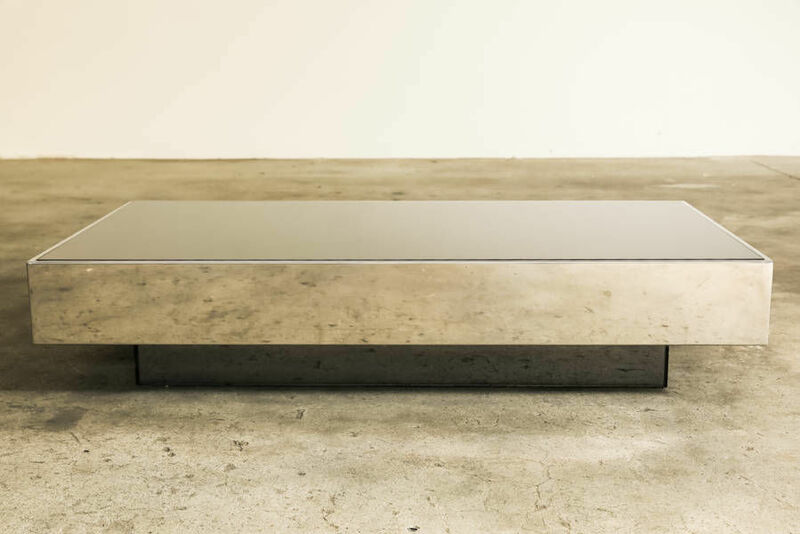 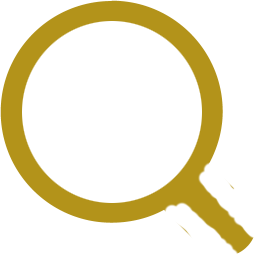 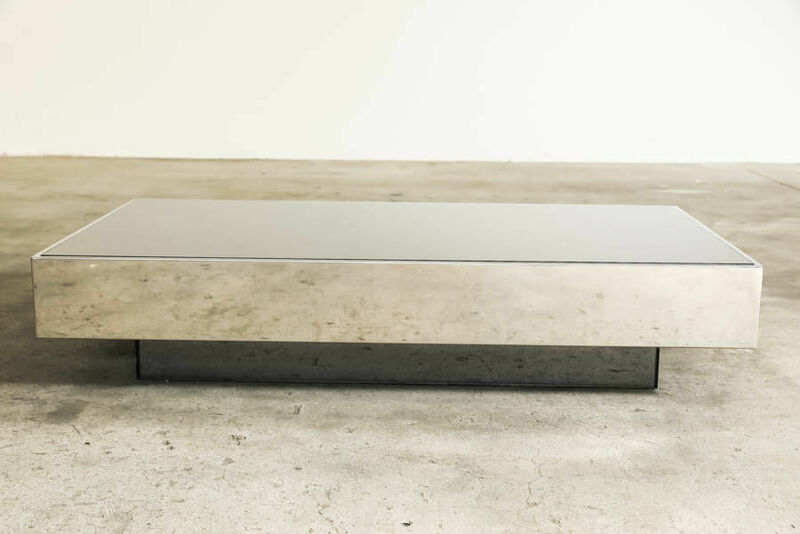 Rectangular It sits on a smaller painted wood base which gives it a floating appearance.